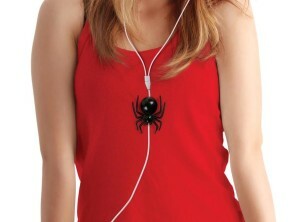 Black spider cord organizer that stores cable inside its abdomen and looks quite fantastic. Its function is to store cord inside it thus shortening it, but overall it just looks great. 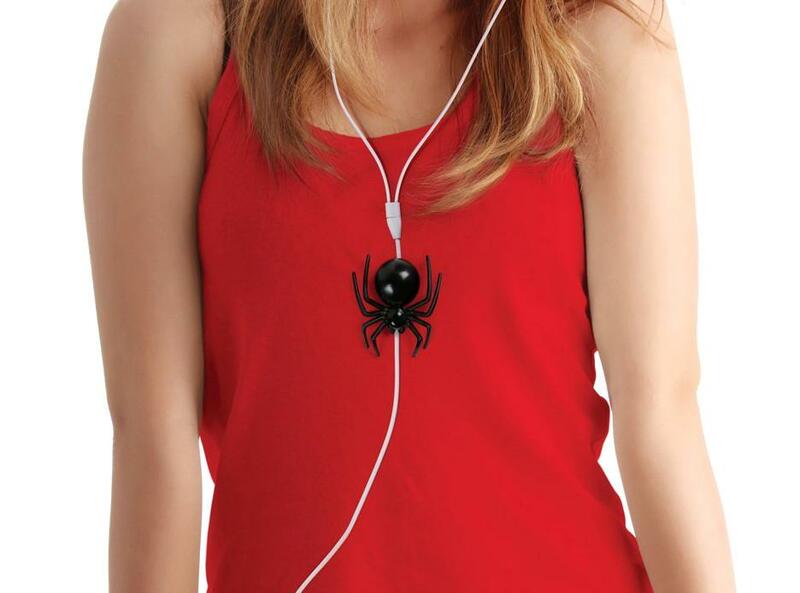 The cord gets stored in the spider’s abdomen. The abdomen pops open so you can clip the wire in and pull it through. Typically I do not include products on this site that get below 3.5/5 on Amazon, but I feel this item is a good exception to the rule simply because it is well made. It looks amazing with its shiny black finish and certainly is very unique. It would be a good item even if it did not store any cord within it. The main complaint about this item is that it does not store much cord inside it. In fact, pretty much the only complaint about the item is that it does not store much cord. However, the issue is that the item is specifically designed for more typical iPhone/iPod headphones that do not have particularly long cords to begin with so to that end it is designed well. It simply deserves a greater score on Amazon than 3 out of 5 and so I am upping its score to 4 out of 5. 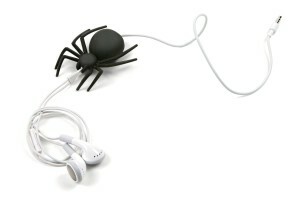 A nice item that does not store enough cord, but works well for shorter headphone sets typical of iPhones/iPods.